Edgar Rice Burroughs might not recognize it but the newest iteration of Tarzan is indubitably visually arresting. 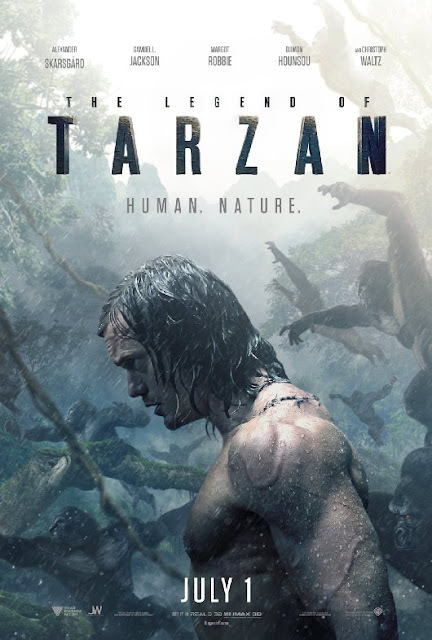 Alexander Skarsgård and Margot Robbie star in the 'me Tarzan, you Jane’ dynamic with Christoph Waltz playing true to form as some sort of villainous guy. The cast includes Samuel L. Jackson, Djimon Houssan (Blood Diamonds), Jim Broadbent and John Hurt. A first class cast but the big stars of the film are the CGI artists who monkeyed around to pretty awesome effect—if you like that big sweep of angry apes rushing through trees and hordes of—what are they, water buffalo?—storming the plateau, and breaking through buildings. 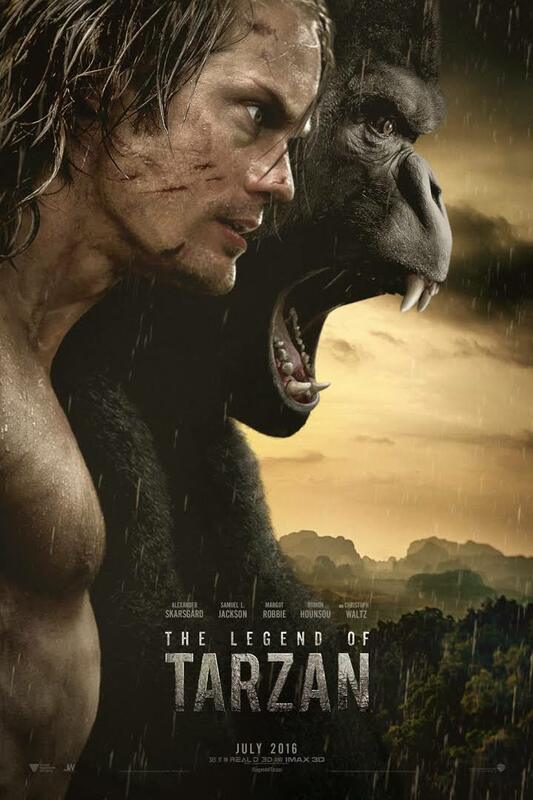 Looking like a page right out of the upcoming The Jungle Book, and a fun summer flick, The Legend of Tarzan appropriately comes out July 1st.